Calling all pyromaniacs, wannabe magicians and any parents that would rather have the kids detach from their phone for half an hour and watch the fireplace or campfire instead. Just sprinkle a few shakes of these Rainbow Fireplace Flame Crystals onto any fire to create spectacular and mystical green and blue flames. These Rainbow Flame Crystals work with any indoor or outdoor wood fire and can be used with fireplaces, fire pits and camp fires with dazzling effect. Use this over Christmas or Thanksgiving and make your fireplace the center of conversation or just the next time you’re out camping. There’s 12 Rainbow Fireplace Flame Crystals in a pack and they last about 30 minutes each. Surprisingly good value here for both small and big kids whenever you have a fire. The Ocean Wave Relaxation Projector is a small projection lamp that creates a sparkling wave effect on any ceiling or wall. Use it in your bedroom, bathroom or living room to transform it into a place of peace and calm, or just bliss out to the trippy colors. Powered by either plug in A/C or batteries, the Ocean Wave Relaxation Projector is also a speaker that you can connect your mp3 player or phone to and play music. Other features include a switch to change colors and auto shutdown after an hour. Really though, this little device is all about relaxing in your bed or transforming your living room into an underwater paradise. Check the price and what other people have to say on Amazon. 800+ mostly positive reviews and many customer questions answered here. This is one spider you’ll actually like! Spider head massagers stimulate the many pressure points on your scalp for a unique tingling sensation followed by deep relaxation. Perfect for unwinding after a hard day at the office. Batteries aren’t needed and you can use it on yourself, or better still, rope someone into being your personal head massaging slave. It won’t be long before they’re begging to swap and give the rainbow spider a try. These brightly colored head massagers are well made and really hit the spot according to the many positive reviews. Apparently even dogs love them! They also make great gifts that you can use on your friend straight away. Just don’t try it yourself before you give it away or you’re going to need another gift. Over 100 positive reviews! See what people are saying about the rainbow spider head massager here. The Lightsaber Umbrella will really make you stand out from the crowd at night with its iridescent glow. This unique umbrella has four different color modes – green, red, blue and purple, as well as a flashing rotating color mode. The perfect gift for any Star Wars fan and great timing with the new movies! See pictures of the different colors and read the many reviews here. Garden gnomes everywhere are turning. Prepare for the undead zombie gnome apocalypse! Frighten children, dogs and especially the neighbors normal gnomes with these terrifying zombie gnomes. Made of heavy handcrafted terracotta and painted with weather resistant paint, these zombie gnomes are sure to get some double-takes. Invite the brain craving undead gnome army into your garden with the Zombie Crawler Gnome and Undead Standing Gnome here. Illuminate your children’s bedroom with this vivid and realistic moon. It attaches to any wall and features a built-in lunar clock that matches the current phase of the moon, all controlled by remote control. It’s detailed to look just like the real moon and includes a solar eclipse light effect as well as the ability to play soothing nighttime sounds and moon landing sound effects. An automatic timer-switch turns the moon’s light off after 30 minutes. The Supermoon In My Room is a fascinating gift for parents looking for both a comforting nightlight and a way to inspire children to learn more about the moon. Read the many positive reviews and check the price on Amazon here. 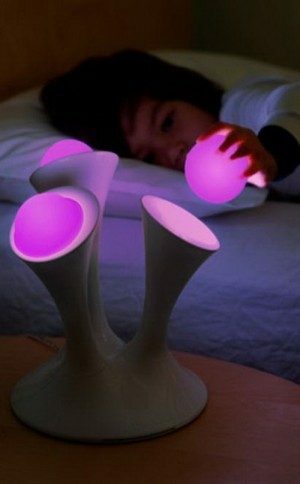 This new Glo Ball Night Light has glowing, removable and color changing glo balls that make for an amazing night light. The phosphorescent balls don’t get warm, they won’t break and there’s nothing electronic in them, so kids can have them in their bed or even play in the dark with them. The glow fades out after 30 minutes time helping young children fall asleep easily without being on all night. Kids can choose their favorite color with a switch or keep the colors rotating and the glo balls are completely non-toxic, BpA-free, phthalate-free and PVC-free. A great gift for families with younger children who are afraid of the dark. More pictures, dimensions and reviews on Amazon. 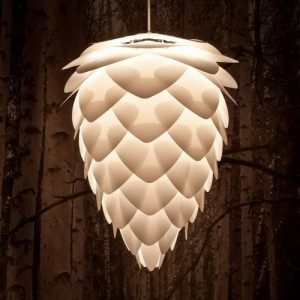 Surely a beautiful talking point for any living room or master bedroom, this interesting Pinecone Inspired Ceiling Shade is blind-free and illuminates with a soft ambient light. Scandinavian designed and made from indestructible materials, at over 17 inches wide and 22 inches deep it’s also a significant size and probably not for smaller rooms. Something like this deserves the center of a big room anyway don’t you think? A stylish and unusual gift that people will notice. Check out the specs on Amazon. Traditional playing cards only super jumbo sized! This huge deck of 52 suited cards and 2 jokers makes any card game so much more fun to play. Kids can even make epic card castles with them. 8 times larger than a standard deck of cards, each 8-1/4 inch by 11-3/4 inch card is printed on heavy-duty card stock and coated on both sides for extra durability. The perfect gift for the budding gambler (though a little hard to hide up your sleeve). Lots of positive and detailed reviews on these giant cards here. Give the Gift of Pizza: A Giant Inflatable Pizza Chair! Nieces, nephews or grandchildren are going to love this: a Giant Inflatable Pizza Chair. Soft and comfortable with digitally printed fabric for a realistic appearance, this super-sized pizza chair will make any kid the envy of all their friends. It can apparently even be used in the pool as the world’s weirdest lilo. Certainly a very different kind of present. Reviews and more pictures on Amazon here. If your children are more the burger types check out this huge hamburger beanbag. Straight razor shaving is making a comeback in a big way. With a closer shave and better value in the long run this Straight Razor Shaving Set will have your man shave ready right out of the box. It comes with a Gold Dollar 3″ x 6/8″ Hardened Carbon Steel Straight Razor, The Blades Grim Shaving Soap, Satin Tip Boar Bristle Brush, Straight Razor Box, GB Buckingham & Sons Leather Strop and an 8 Page Beginners Guide to Straight Razor Shaving and Stropping. Professionally hand sharpened with free lifetime sharpening, this complete Straight Razor Set is guaranteed shave ready or your money back. 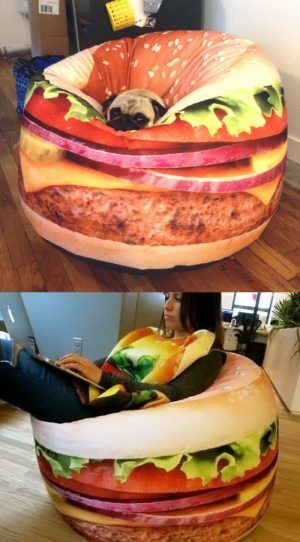 Do you love hamburgers enough to want to sit on one? This delicious looking bean bag has a photo realistic high quality print, is made of durable polyester and is filled with comfortable high grade EPS beads. Something different for small and big kids alike. Normal chairs are boring. Relax in the burger! 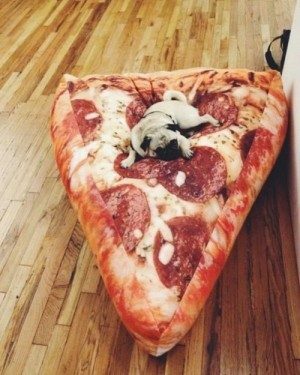 If you’re more of a pizza lover check out this super sized inflatable pizza chair. Doctor Who fans rejoice! You can now take control of all your earthly entertainment systems – TV, smart phone dock, stereo, DVD/Blu-ray player – with just one all powerful programmable sonic screwdriver. This gesture-based infrared remote control will learn the control codes from virtually any normal (and boring) remote control. Then, using simple movements you can use the Doctor’s Sonic Screwdriver to control all of your devices at once. With up to 39 remote control codes, Sonic Screwdriver sound effects, illuminated green tip and hand-polished and copper-plated metal construction, your Sonic Screwdriver will look and feel just like the Doctor’s. There’s even a stealth mode without sound and a lock code to prevent meddlesome humans changing channels. Many detailed reviews on how to take control of all your earth based entertainment systems with your Sonic Screwdriver here. Make your kids the envy of all the other children with this ginormous bubble maker. The Giant Bubble Making Kit comes with extra large wand, a carry pouch and a four ounce bottle of bubble solution to make masses of truly massive bubbles. In fact, with this special bubble solution the bubbles are not only huge but they are also extra colorful and especially long lasting. These bubbles are so tough they can even sit on the grass and survive light rain. Pretty amazing. Small bubble-makers just don’t cut it anymore. Check out the Giant Bubble Making Kit here and get the kids off the couch and outside again. 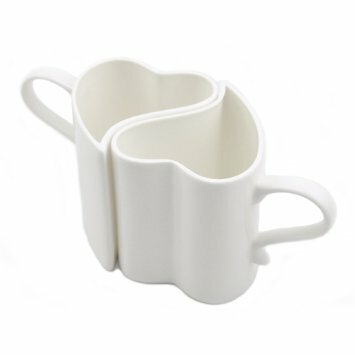 Show your partner or best friend just what a sappy romantic you really are with this pair of Heart Shaped Ceramic Mugs. Beautifully glazed on the outside and dishwasher and microwave safe, these mugs have comfortable handles and are pretty near perfect for morning after coffee. A cute gift idea as well. Read what other 5 star romantics have to say about these Heart Shaped Ceramic Mugs here. Are alcohol thieves a problem for you? Flatmates polishing off your wine, kids sneaking a sip, husband hitting the bottle too much? Here’s the solution! The Wine and Whiskey Bottle Lock fits just about any wine or spirits bottle and neatly secures your plonk from raiders. Save that chardonnay you were looking forward to from your drunken ‘friends’. Hold your husband’s whiskey hostage until he takes out the trash. On a more serious note, save your little darlings from starting too young and a life of alcoholism. Check out the many positive reviews here and put a stop to alcohol thieves once and for all. This flower shaped LED crystal light bulb will fit into regular screw type lamps and light fittings. Once you switch it on it creates an amazing rotating strobe of brilliant colored lights and patterns on the ceiling or wall. The rainbow of colors is constantly changing, for a mesmerizing light show wherever you plug it in. A thousand times cheaper than a DJ for your next party. Check out the questions and answers and customers light pattern pictures on Amazon now. You might think this realistic Death Star is just for display, but it’s actually a powerful speaker, with both Bluetooth wireless connectability and direct auxiliary input. The Death Star speaker can be paired with any Bluetooth device like your phone, tablet or laptop and will play just about any audio format, including video, games, phone calls and all kinds of music. The speaker’s range is up to 30-feet away from the source and it can be made to light up when it’s on. You can also plug it into any device with a headphone output and use it as the main speaker in your room. The Death Star speaker has it’s own rechargeable battery that lasts up to 8 hours and it comes with a USB cord for both charging and hooking up to a headphone jack device. It looks great on a desk, shelf or table and, as a very timely gift with the new movies, will blow most Star Wars fans away. More details, reviews and owner’s pictures here. Know someone who’s awesome? 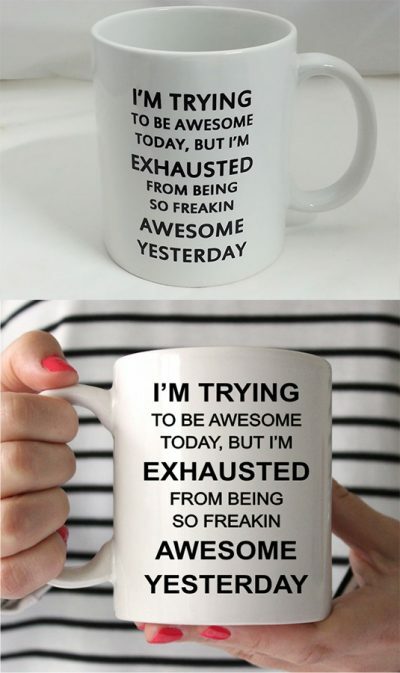 Tell them with this brilliant coffee mug. Maybe you just need to remind everyone else of the obvious with your morning java! A big 11oz, this mug is professionally printed and makes a great gift or your new favorite cup for coffee. The huge number of 5 star reviews say it all. This one is popular! Swap your pen holder for a bright green grass pot plant with Pooleaf grass pens. This pack of 12 grass leaf shaped pens come in 3 different shades and brightens up any boring office desk. Made of comfortable silicone and easy to write with at the base, the feathery ends of these grass pens even sway gently in the breeze or airconditioning. An inexpensive yet memorable secret santa office gift or children’s present with many positive reviews here. Fling snowballs further than ever before with Arctic Force Snowball Maker & Thrower. With a built in snow scoop and snowball maker you can launch snowballs up to 150 feet and master the winter battlefield! Simple to use and with an ergonomic design that keeps your gloves warm and dry, the Arctic Force Snowball Maker & Thrower is a great Christmas gift for small and big kids alike. Read the reviews and check the price here. The awesome ostrich pillow is perfect for napping at your desk, on public transport, at the airport or on a plane. It turns just about anywhere into a relaxing place to catch some much needed shut eye. Much more comfortable than old blow up neck pillows, the ostrich pillow covers your eyes and keeps things dark with a place for both your arms and a large area for your nose and mouth. Naps are proven to be good for you so join the napping revolution and sleep in comfort wherever and whenever you want with the ostrich pillow. Check the price on Amazon and get free delivery here. Also consider the Ocean Wave Projector to relax when you get home and make it easier to get some sleep the night before work. Need to sneak your drink into a concert, poolside bar, sporting match, boring work meetings? These brilliant hidden flasks look just like sunscreen tubes but actually hold the alcohol of your choice. Up to 16 ounces of the good stuff with the two sunscreen tubes. They come with an extra wide mouth and have a small funnel included to fill up. The screw cap provides an air-tight seal to prevent any leaking of liquid and you’d have to be seriously unlucky to have security check these. Number 1 bestseller in Amazon for drink flasks and well rated. Read more reviews here. Do you love to sing in the shower but need your music to sing along with Miley and Justin? Can’t afford to miss a call while you’re washing your hair? 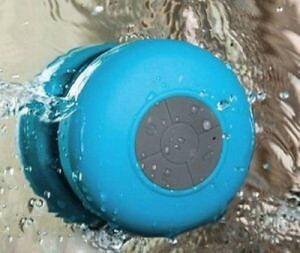 Then this wireless waterproof speaker might just be perfect for you. It sticks to any surface, has great sound, can skip songs, increase or decrease the volume and even answer phone calls with the built in microphone, all while you dance around under the shower. Using Bluetooth it connects to any smartphone and plays for up to 15 hours (though some reviewers say it lasts for months). Check the price and see all the different colors here. Lots of reviews too, including videos. This one is popular! Is your idea of a good time getting your friends drunk? Looking for a gift to get your best mate completely smashed? Look no further than this 16 Shot Roulette Drinking Game. This of course could be fun for the whole family as well, if you played with orange squash, but no one’s going to do that. 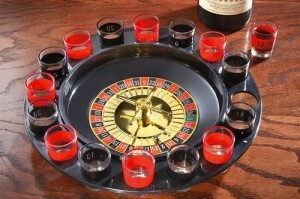 This is a game for the drinkers and this roulette table can take 16 of them! Numbered glasses and 2 metal roulette balls included as well. A great party piece for a low price. Cheers! But don’t blame me for the hangover. Scientists have recently discovered the astounding healing power of bacon for minor cuts and scraps. Have it always on hand with these 15 die-cut sterile bacon strips in a tin. 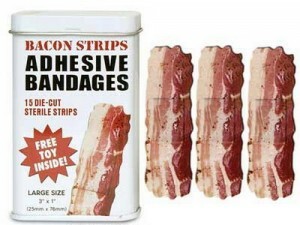 Absorbent, long lasting, adhesive and very bacon-like! If there’s a cooler band-aid out there I’ve never seen it. Though make sure you don’t start deliberately falling over in the park just so you can wear one of these. A great gift and conversation starter, but probably not a late night snack. Also beware of hungry bacon lovers sizing up your arm or leg when you wear one of these. Read about other people’s dramatic experiences with the healing power of bacon bandages on Amazon now. 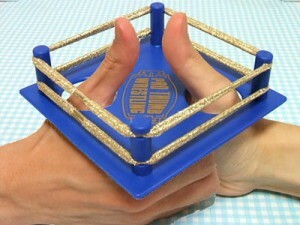 Thumb wrestling is an epically cool pastime for armchair athletes. Take it to the next level with this wrestling ring made for thumbs of all shapes and sizes. Complete with high impact and shock resistant handle and flexible ropes, this thumb wrestling arena can handle some serious contests. Keep it on the coffee table to challenge friends, take it as a gift to a birthday party and watch everyone want to have a go or even take on random strangers on the bus and become the ultimate thumb wrestling warrior! An inexpensive gift with lots of positive comments from fellow thumb wrestlers. Read more reviews on Amazon here. 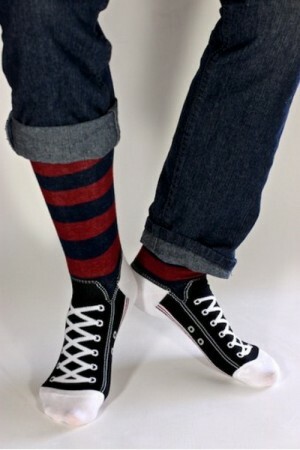 Socks have always been one of the worst gifts you can get but not these unusual men’s rugby sneaker socks. Take off your shoes and you’re sure to get a few double-takes and compliments with the realistic converse and rugby socks look. They come in a few different colors, including brown and blue and the red and blue shown here. The size is men’s 10 – 13 and the majority of people say they fit as expected. With these rugby sneaker socks on you don’t have to take to your shoes off at the door anymore. Check the price and read the many customer reviews on Amazon here.